Celtic Inspired Jewelry by Keith Jack. The “Awe” is a stylized Tree of Life design that circles the entire ring. The combination sterling silver and 10kt gold “Awe” design has a Rose coloured Tree of Life centre. 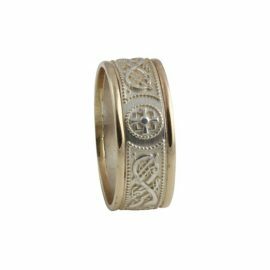 This beautifully designed Celtic inspired ring is available in select sizes. The “Belston” is a Raised Five Fold Celtic Knot. The combination sterling silver and 10kt gold “Belston” design has an oxidized background in centre. The “Braan” is a Celtic Gate that circles the entire ring. The “Braan” is a narrow version of the “Leven”. 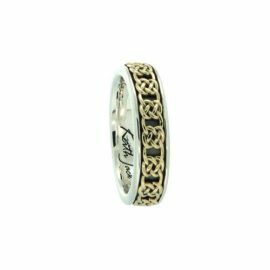 The combination sterling silver and 10kt gold design has an oxidized background in centre. This ring is absolutely stunning. 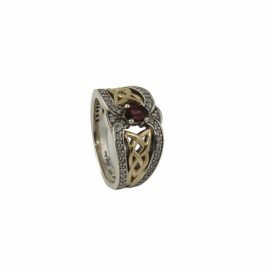 The combination Sterling Silver and 10kt gold design has an oxidized background in centre accented by a Rhodolite centre. This ring is absolutely beautiful. 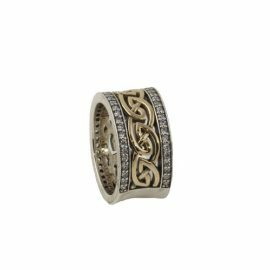 The combination Sterling Silver and 10kt gold design has an oxidized background in centre accented by cubic zirconia set into the rails. 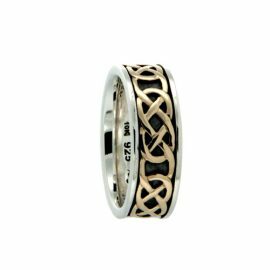 Celtic rings designed and manufactured by ring specialists with well over 20 years in the business. 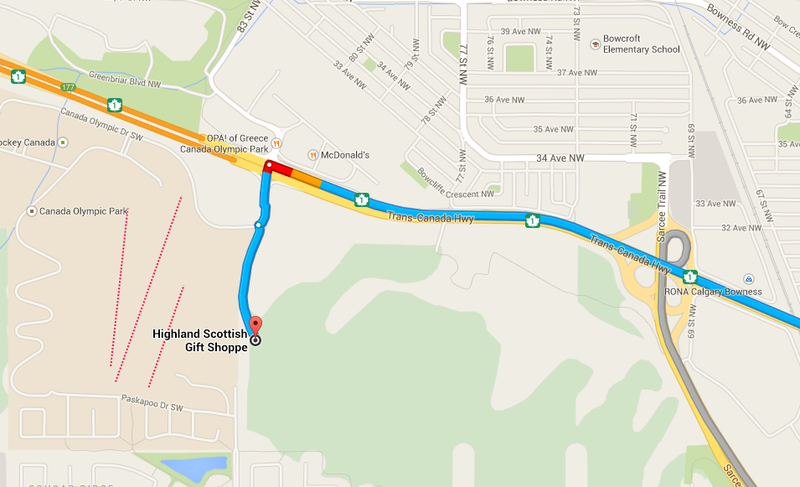 Collections incorporate traditional and contemporary designs derived from their Scottish heritage. 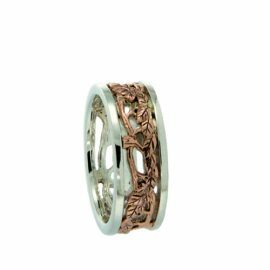 The Celtic Warrior Shield ring symbolizing honour, strength and integrity is made of anodized Sterling Silver with 10kt Gold rails. The design encircles the entire ring. 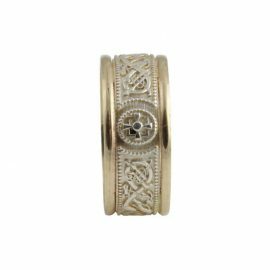 This ring is available in both a narrow or wide width to match your preference. 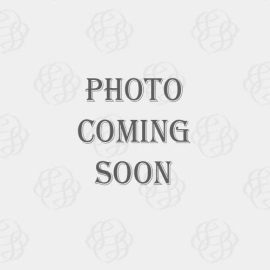 This Claddagh is a solid ring made of anodized Sterling Silver with 10kt Gold rails. 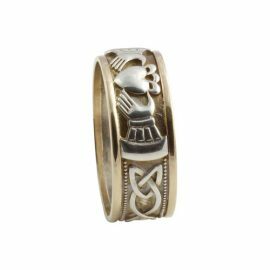 The Claddagh is flanked by Trinity knots that circle the side of the band meeting the Warrior Shield at the back of the ring. 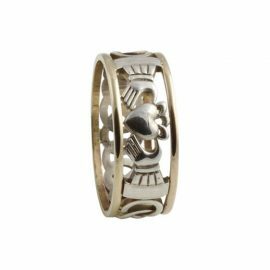 This Claddagh with surrounding Celtic knot is an open weave ring made of Sterling Silver with 10kt Gold rails. The Celtic knot circles the entire ring. 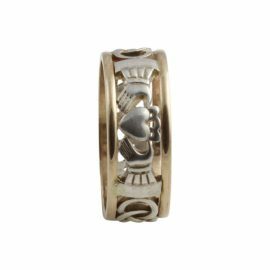 This Claddagh is a solid ring made of anodized Sterling Silver with 10kt Gold rails. The Claddagh is flanked by Celtic knots that circle the entire ring.